Robert Johnson wearing a blue shirt from the hospital. 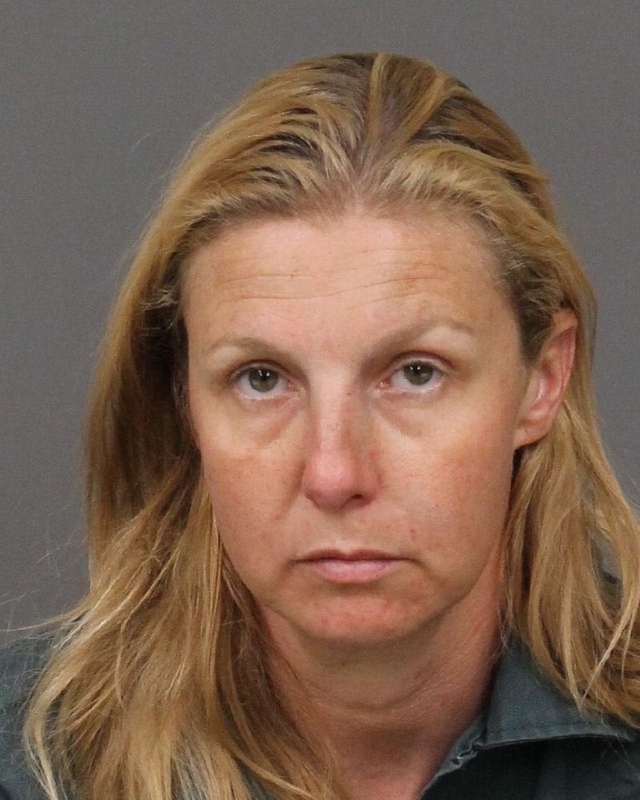 A 40-year-old San Luis Obispo woman allegedly lured a former boyfriend to a secluded location, began rubbing his shoulders, tilted his head back and cut his throat from one side to the other with a box cutter, the victim said in an exclusive interview with CalCoastNews. Robert Johnson, 55, and Erika Christine Deherrera’s twelve years relationship was fraught with gambling, affairs and substance abuse issues, Johnson said. Three years ago, Johnson called it quits and eventually relocated to Hawaii. A few weeks ago, Johnson flew back to San Luis Obispo to pack up items he had left behind. A phone call from Deherrera, in which she said she had lost all of her belongings in a fire last March that destroyed a residence on Portola Road in Atascadero, prompted a reunion, Johnson said. Following the fire, Deherrera and her current boyfriend moved to Sunny Acres, a sober living facility in San Luis Obispo. Johnson said Deherrera told him she was clean and sober, but needed some help. Johnson then agreed to lend Deherrera $300 and chauffeur her to a job interview and shopping. While at Home Depot in San Luis Obispo, Deherrera purchased a box cutter. On Saturday afternoon, as they drove back to Sunny Acres, Deherrera asked Johnson to stop at the Bishop Peak trailhead so she could “chill for a bit.” The two then walked to a small pond where they sat down on the ground to talk, he said. “She said ,’Hey, want me to rub your back?’ ” Johnson said. While Deherrera rubbed his back, Johnson talked about his life in Hawaii. Deherrera then tilted Johnson’s head back and jabbed the box cutter into his neck. Johnson said. Johnson then attempted to take the box cutter from Deherrera. The two fought over the box cutter until Johnson, while blood sprayed from his neck onto his ex, punched Deherrera in the face several times, he said. Afraid she would go after him, Johnson then kicked Deherrera. After pulling off his shirt to apply pressure to his wound, Johnson ran up the trail to Foothill Boulevard where he began waving down drivers. But no one wanted to allow a bleeding man in their car, Johnson said. 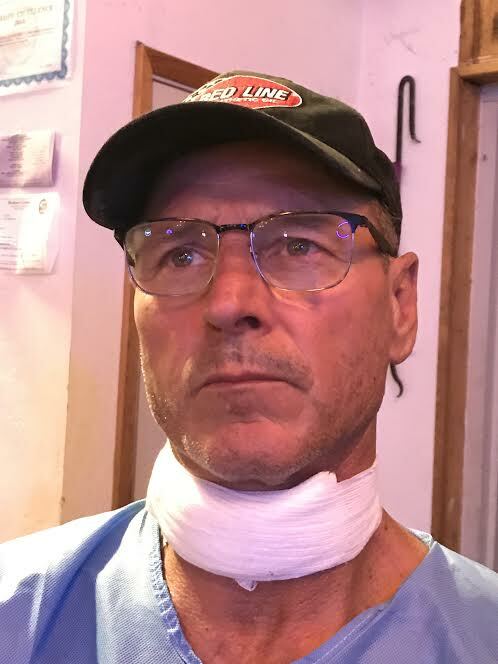 Nevertheless, an EMT on her way to work stopped and helped put pressure on the wound until an ambulance arrived and transported Johnson to Sierra Vista Regional Medical Center where he was treated for a seven inch cut that sliced through his jugular vein, he said. He was released Saturday night. While Johnson was in surgery, San Luis Obispo County Sheriff’s deputies found Deherrera hiding in some bushes at a neighborhood near the trail on Cerro Romaldo Avenue. Deputies arrested her for attempted murder and booked Deherrera into the San Luis Obispo Jail with her bail set at $500,000. I would ask her for the money back. Shame on the 10-20 drivers for not stopping to help the poor guy. Each one of them deserves to be left bleeding on the side of the road. Pretty ironic that he paid for the weapon that she tried to kill him with. Best to keep losers out of ones life. The State of California provides therapy and other services to crime victims. He should explore this in depth because these types of relationship patterns are pervasive. If it all went down as the article says, I feel really sorry for this guy. She certainly has those dead sociopath eyes–and one encounter with one of those–where the mask of sanity is just ripped right off and you see the monster beneath the mask…..very traumatizing! I think as soon as he is able he will be back on a plane to Hawaii and not come back until the trial. If she had a box knife and slit his throat, why didn’t he die? Was it done carefully or did she just get lucky? The story doesn’t fit. Dude, not EVERYTHING is a conspiracy. You’ve read like 10 paragraphs on this incident. Let the professionals deal with it. As will be noted even the EMT didn’t take the victim in her car. The proper sensible thing to do would be to call 911 and provide Basic Life Support measures until help arrived.